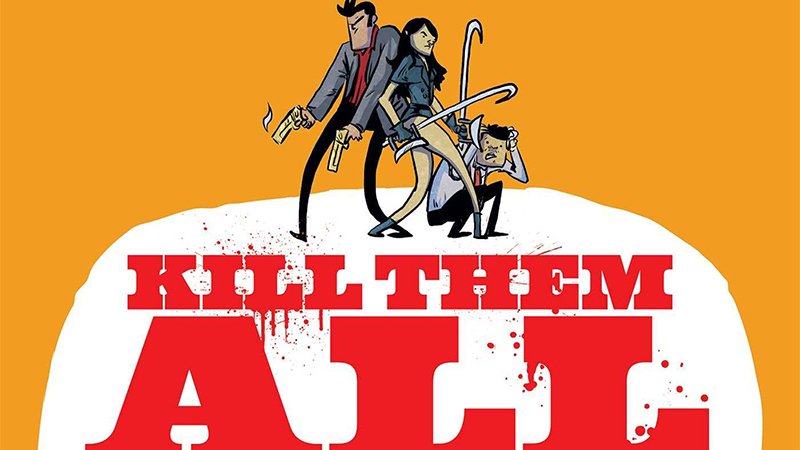 Paramount has acquired the adaptation rights to Kyle Starks graphic novel Kill Them All, with James Coyne set to write the adapted screenplay, The Hollywood Reporter has confirmed. Kill Them All tells of a betrayed murderess on a revenge streak and a hard-drinking former cop who, to get what they want, team to take down a crime lord. The latter is atop a 15-story Miami high-rise so the duo go floor by floor cutting through assassins, murderers, Luchadore gang bosses, ex-boyfriends, and office workers. The project is described as a love letter to 1990s action movies. The graphic novel initially started out on Kickstarter before Oni Press picked up the story. Josh Appelbaum (Mission: Impossible – Ghost Protocol) and Andre Nemec (Teenage Mutant Ninja Turtles) will serve as producers. The duo are also producing Without Remorse, the adaptation of Tom Clancy’s novel starring Michael B. Jordan. Coyne previously wrote 2013’s action-adventure fantasy Vikingdom, the Dolph Lundgren and Cung Le action drama Puncture Wounds, and the upcoming sci-fi feature Cascade. He also previously worked on Treasure Island and Sherlock Holmes 3. Starks is the Eisner-nominated creator of Sexcastle for Image Comics and is currently writing Oni Press’s Rick and Morty. He also writes the Rock Candy Mountain graphic novels for Image Comics, following the mysterious history of a character named Jackson. The post Kill Them All: Paramount Acquires Rights to Graphic Novel Adaptation appeared first on ComingSoon.net.